The Flash season 5 trailer is here. The CW debuted the first footage from the upcoming season during San Diego Comic-Con where quite a bit was revealed about the future of the series and it's going to be deadly. "There'll be a lot of deaths this season," teased executive producer Todd Helbing. So don't get too attached to anyone because they may not be around for very long. The trailer gets twisty quick, with Barry and Iris' daughter Nora from the future arriving at their doorstep. Naturally, they make a Back to the Future joke about the situation before the trailer evolves into a dangerous mystery. There's a huge plane crash sequence and, perhaps best of all for DC fans, Barry gets his Flash ring! During the panel, Grant Gustin said, "It's something we wanted to happen for a long time," adding that he's very excited and that it comes with, "a really, really cool new suit." 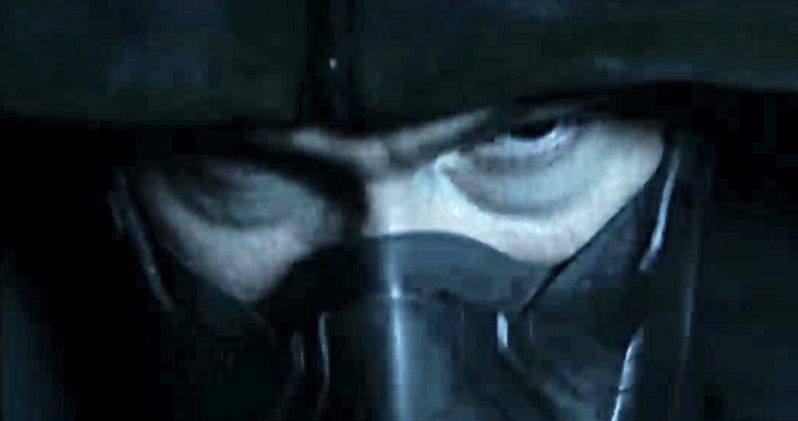 The trailer concludes with an extended sequence showcasing this season's new bad guy, who is very breathy and taking a few cues from Darth Vader. Here's the official synopsis for The Flash season 5. "Matching wits with The Thinker, who by season's end had harnessed the powers of all twelve bus metas he created, stretched Team Flash to their limits, but with the help of some new allies, Barry Allen (aka The Flash) and company were able to put a stop to the Enlightenment and save Central City once again. However, with the arrival of Barry and Iris' speedster daughter, Nora, who arrived from the future admitting to having made a "big mistake," things are anything but status quo. Will parenthood be the challenge that finally slows The Flash down?" That breathy villain is going to be played by American Pie star Chris Klein, who was near impossible to recognize in the footage. The actor has signed on as a series regular to play next season's main nemesis, Cicada. The evildoer is described as a grizzled, blue-collar everyman whose family has been torn apart by metahumans, Cicada now seeks to exterminate the epidemic, one metahuman at a time. Cicada is a cult leader in the pages of DC Comics, but Todd Helbing says that won't be the case on the show. He did have this to say, though. "His powers present a challenge for Team Flash that they've never had to deal with before." The DC series stars Grant Gustin as Barry Allen, Candice Patton as Iris West, Danielle Panabaker as Caitlin Snow, Carlos Valdes as Cisco Ramo, Hartley Sawyer as Ralph Dibny, Jessica Parker Kennedy as Nora West-Allen, Danielle Nicolet as Cecile Horton, Tom Cavanagh as Dr. Harrison Wells and Jesse L. Martin as Detective Joe West. The Flash season 5 speeds to a TV near you on October 9. Be sure to check out the new trailer, courtesy of The CW Television Network YouTube channel, for yourself below.